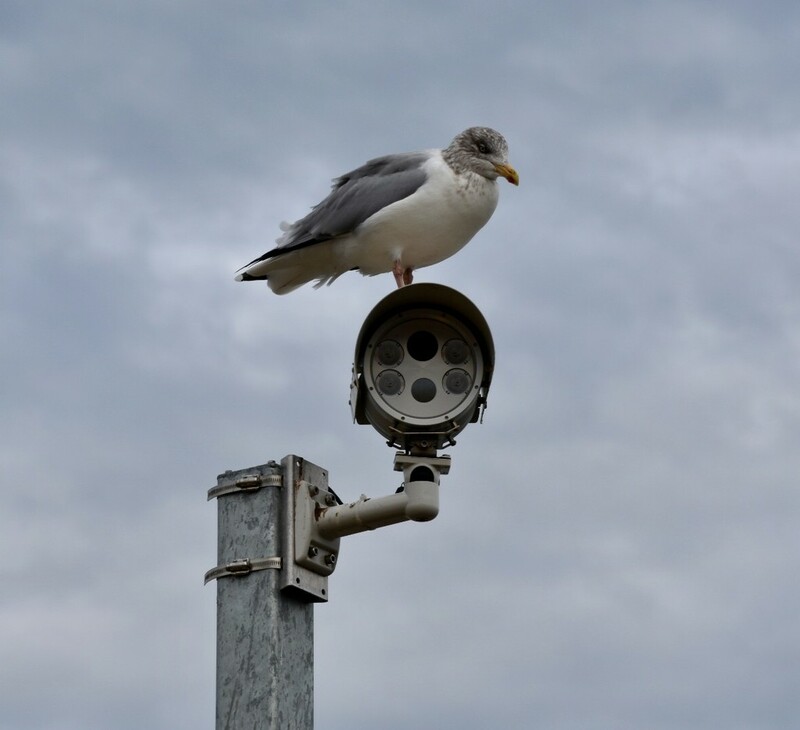 A seagull sitting on top of CCTV camera at Wells-Next-The-Sea. Oh what a great spot and we'll shot! !